AOL AdNetwork - Launch Programmatic Upfront scale plan machine for Advertising online Ad Market. Week Plan is to jump start a marketplace for machine-sold ads By Mike Shields. AOL is attempting to ignite a large scale machine-driven online CPM Ad Market for premium advertisers and sellers—by borrowing a page from old media—all in an effort to pull more TV dollars to the Web. 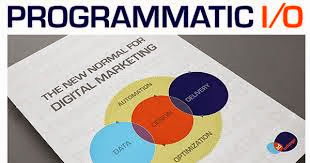 On Sept. 23 during Advertising Week in New York the company will host what it is calling the first ever Programmatic Upfront, during which 150-plus advertisers, agencies analysts and investors will theoretically gather and if all goes well allocate big chunks of their media budgets for the Web. A programmatic upfront is nothing if not an ambitious endeavor. The digital ad industry has taken pains to convince advertisers that they need to commit spending to original Web series during a number of Digital Content NewFronts, only to limited success. One could argue that there is even less of a need for an upfront in the display space, where supply is often described as limitless--not to mention the fact that digital media is frequently planned quarter by quarter, even week to week. AOL CEO Tim Armstrong told Adweek that he firmly believes online advertising is about to undergo a dramatic, fundamental shift, not dissimilar to what happened to the financial industry as more electronic trading emerged in the 1990s. "You saw what happened when Wall Street got programmatic," he said. To hear Armstrong tell it, new entrants like eTrade shook up that market by democratizing trading through technology. But eventually, the Goldman Sachs of the world found their way, increasing their speed, efficiency and success rates through technology while bringing top investors into the digital age. He sees the same dynamic playing out in digital—naturally with AOL playing a central role. Ad tech startups and a slew of middlemen have surely disrupted the online ad buying process in the past few years, but have also pulled value away from publishers; per AOL, the average publisher takes home just 25 cents of every dollar they earn. But Armstrong believes AOL's end-to-end suite of tech offerings will allow it to better facilitate all that while protecting value...and encouraging bigger brands to spend large budgets in programmatic. Indeed, AOL emphasized it's not trying to lock up the direct response, ecommerce market at its Advertising Week event. The Programmatic Upfront is about getting the biggest brands, the top creatives, to embrace tech-driven ad buying, and getting sellers to push their best inventory. "This isn't about cheap stuff," he said. "We think there is a massive shift coming over the next few years." AOL hopes that the Programmatic Upfront becomes and annual event; non-AOL sellers will be included (AOL sees its roll in kick starting the process similar to Digitas' role in building the NewFronts). It's never easy for a single industry seller to rally advertisers, agencies and its competitors (see 3MS and the famous portal alliance). But a move toward centralized bulk media buying is not unprecedented. While 20 years ago, the average creative agency had a media buying division close at hand. The early aughts saw the age of unblinking and a push towards clout becoming all important in TV buying. AOL and its brethren just need to convince advertisers that there's a similar advantage in buying online ads in bulk. As Armstrong wrote in a blog post, "CMOs can't embrace digital much further without a simple connection between people and platforms...and can't shift their budgets from TV until we as an industry demonstrate the true power of digital to unlock creativity."